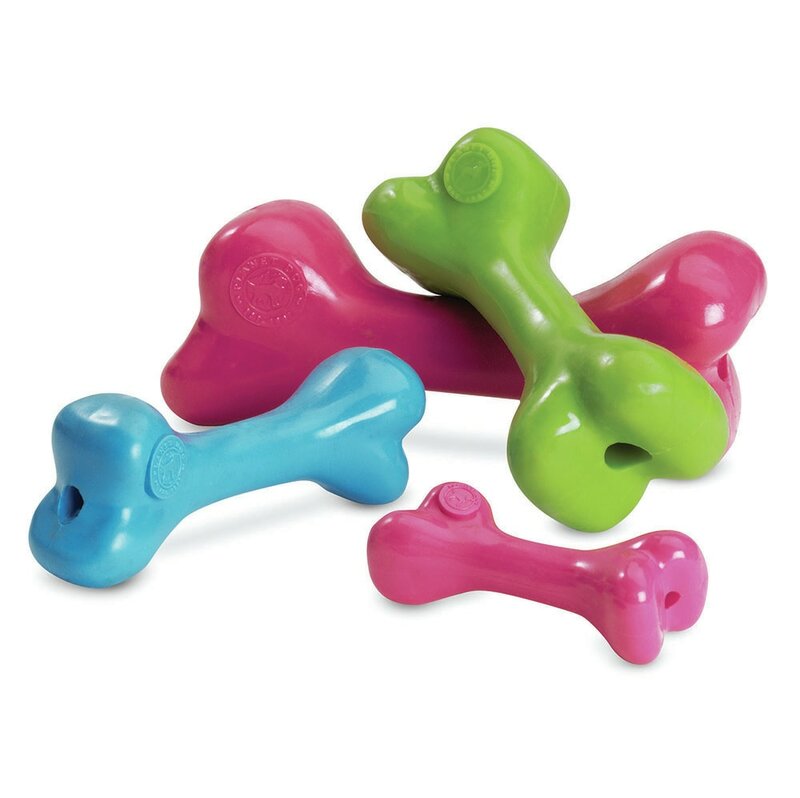 Considered to be the most curiously durable "funny bone" on the market, this best-selling, all-time favorite offers chewy goodness for moderate chewers. Medium length makes it a treat for most sized dogs. Give a dog a bone -an Orbee Bone! ​At Planet Dog, we make toys, not waste! A certain amount of excess material is inherent to the injection molding process. We developed our Orbee-Tuff® Recycle TOYS line to capture and re-use 100% of this left-over material, virtually eliminating any waste. Now that's reducing our carbon paw-print! Make every dog an Eco-Warrior with our RecyleBone. - it's doggie-durable, minty, buoyant and bouncy. 100% GUARANTEED. Any time. Every time. Made in the USA.